An AutoCAD Alternative becomes a necessity for all those small organizations and individual users with a limited budget, but with a need of a product that possesses the same powerful features despite being much cheaper than the original. The key always lies in finding a suitable AutoCAD alternative that can give you the same freedom, the same flexibility for performing both your day-to-day routine work as well as the large, complex projects. As a matter of fact, even the so-called low cost CAD products also cost a lot, and there is no point in throwing away your hard-earned money on some product that is featureless and does not possess the powerful tools you need. An AutoCAD alternative is a boon only if you find working with it a pleasant experience and can perform all the tasks easily and efficiently. If you don’t find a good one, it will prove to be a bane for your organization giving you all sorts of problems. 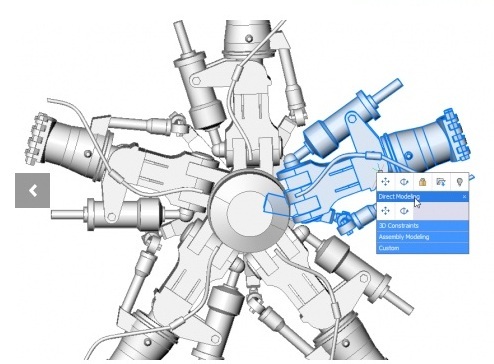 So, how to find a good low cost CAD software? The important thing is not to act hastily, first make a list of features you regularly need while working. Now think hard and add some special tools and features that may be required while working on larger projects that come your way once in a blue moon. For example, iff you don’t need to work in three dimensions, there is no point wasting your money on any 3D software. However, if 3D modeling is a part of your standard workflow, you definitely need to go for a DWG CAD software. Features offered by a software make all the difference in the long run. If a product doesn’t have a tool matrix that stores your frequently used commands at one place, you will find working extremely tedious. If it doesn’t have a format menu that allows you to change styles and entities conveniently or to manipulate layers, working on large projects will be nearly impossible. Cost is of course a very important criteria, but so is performance, never forget to make sure that the product you are going to buy has all the necessary tools and features. An AutoCAD alternative like BricsCAD or ZWCAD can improve your workflow and give you an excellent bang for your buck, while a product without the requisite tools and features will only be a headache.